Feel free to look around in this blog. What you see is what you get. What you saw yesterday may not be here today. All logos, trademarks and content in this site are property of their respective owners. Posts and comments are the property of their posters. However I reserve the right to remove any and all of said items. All else, poems and other writing and photographs taken by Jim are © Copyright 2005-2019 by jimmiehov ( jhovendic@yahoo.com ). I'm linked with Marian in the Imaginary Garden with Real Toads, Tuesday Platform. Wow! That truck sure looks shiny and well cared for. Yes more precios than gold to you! Jim you should consider writing for and linking to Monday WRites this to me is mood writing. Oh Jim I'm with you! She is a beauty! Her miles of life are indeed worth more than gold. :-) Thanks for sharing! It is a very cool truck, Jim. Yes, don't mess around with the little red truck. Very true Dr Jim! One will always have a favorite, a sentimental asset. More so when is a functional item that solves myriads of problem! It is indeed a lovely little red truck! That's a great truck! Did you restore it yourself, Jim? Beautiful truck! Somethings just can't be bought. I'm with Bjorn... so much depends on that little (and gorgeous!) 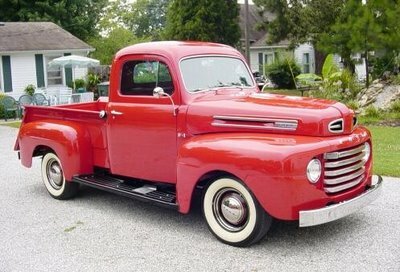 red truck. I feel that way about my 23 year-old Mazda Miata. It's a very passionate relationship. Lol! Dreams not done ~~ A "Friday Poem"
Saturday Morning Poem, "Traveled to ..."